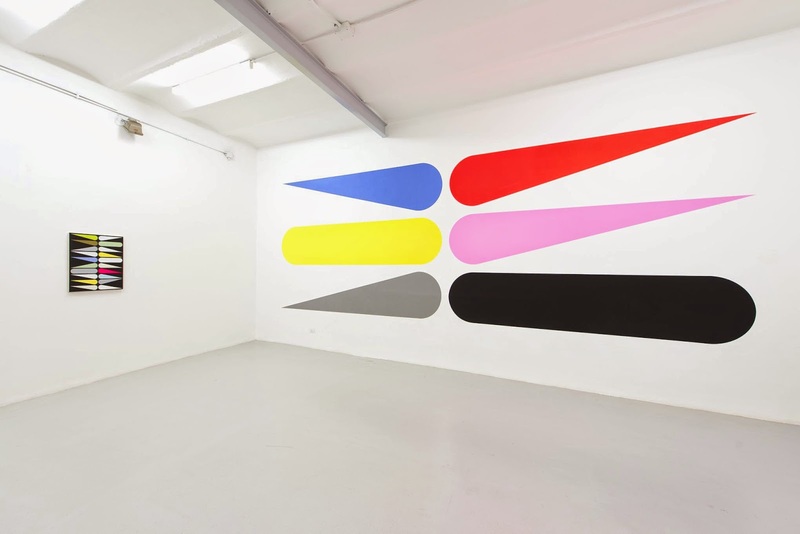 The Giacomo Guidi Gallery hosted the Jan Van Der Ploeg's solo exhibition. The works by dutch artist take place in the first room, which house a wall painting and a selection of recent works on canvas by Van der Ploeg. Jan van der Ploeg has begun to use the ‘Grip’ pattern for his works since 1997. This motif is a ready-made in the form of a horizontal, long rectangle with rounded corners, derived from the hand-holes in the cardboard boxes used for removals. It is essential for the artist that this is an easily recognised everyday form that he can shift into the context of painting, without making any changes. Grip is only the starting point, the module. Van der Ploeg uses it from the murals realised according to structural conditions it encounters, until the panel paintings, small and intimate works. The experience will be completed by the artist only in the final days of the show, when a series of wall paintings will transform the corridors of the space of Largo Cristina di Svezia.